July 4, 2011 May 31, 2012 Nefer Khepri, Ph. D.
For the past few days I have been focusing on the NOW. I make it a point to now look around me & inwardly (or outwardly, as the case may be) express appreciation & gratitude for something. I’m working on doing this on a regular basis. My guides have always told me to “think in the NOW.” Focus on the present moment, enjoy what’s going on around me, and forget about the past. I have suffered from bad knees since the age of 9 when I fell on the ice and injured my left knee. 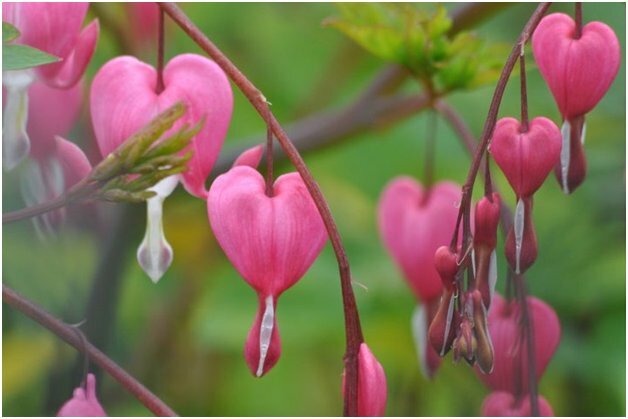 My guides have told me all pain is based in emotion and that pain in the knees (they included hips, ankles & feet, as well) was caused by dwelling on past hurts or fearing movement forward in life. They have told me that by focusing on the NOW that I can leave my knee pain in the past where it belongs. That’s how I felt so I basically ignored the message they’ve been sending me for years now. Then the other day in an email from a Facebook friend, she told me the same thing. My brain is very print/image oriented. I’m an artist and a writer so for me images and words carry tremendous importance and can have a huge impact on me. Celeste told me that all pain has an emotional basis and if I could identify the emotion or past trauma and release it, that would help my knees. I sat there and just stared at her email thinking, “wow, that’s just what my guides have been telling me all these years!” Seeing what they have been telling me in print and sent from another person really drove the point home with me. So, now everyday when I get up I start the date with a thought about NOW and what I am grateful for. Today it was being grateful for our nice, comfy king-size bed. Yesterday I started the day being grateful for indoor plumbing – something I had until now always taken for granted. I figured why not express gratitude for something you use several times a day and have done so your entire life since being out of diapers, right? Throughout the day I now make an effort to look around and express gratitude for something. When you do this it helps to anchor you in the NOW. If you’re busy looking around yourself expressing gratitude for various people, situations, events, and things you are not dwelling on the past in that moment. Make it a habit and that leaves less time to dwell. It’s that easy, and the more you do it the easier and more frequent it gets. Also, when we express gratitude for the nice things we have in our lives we attract more good things to us. So it’s really a win-win situation. I think this method is working because since starting this my knees feel really good. The other day did I get a twinge of pain & it was in the left knee, which hasn’t bothered me in years. I had just gotten back from the grocery store & I thought, “man, I hate grocery shopping!” Then *** TWINGE! *** So then I changed the thought to, “I appreciate having a grocery store so close to my house so that I don’t have to hunt or gather our food!” Then the twinge stopped! Is that awesome, or what??? Focus on the NOW. Be grateful for what you have, no matter how small or insignificant it may seem to you, and in time you will make this a regular habit and things from your past will move further and further away from you in time and also in thought. This is what I’ll be doing and I’ll keep you all updated on how I’m doing. I’m grateful for my daughter’s laughter, which always makes my heart sing. I’m grateful for my Subaru Forester, which I really love because it’s so comfy and dependable. 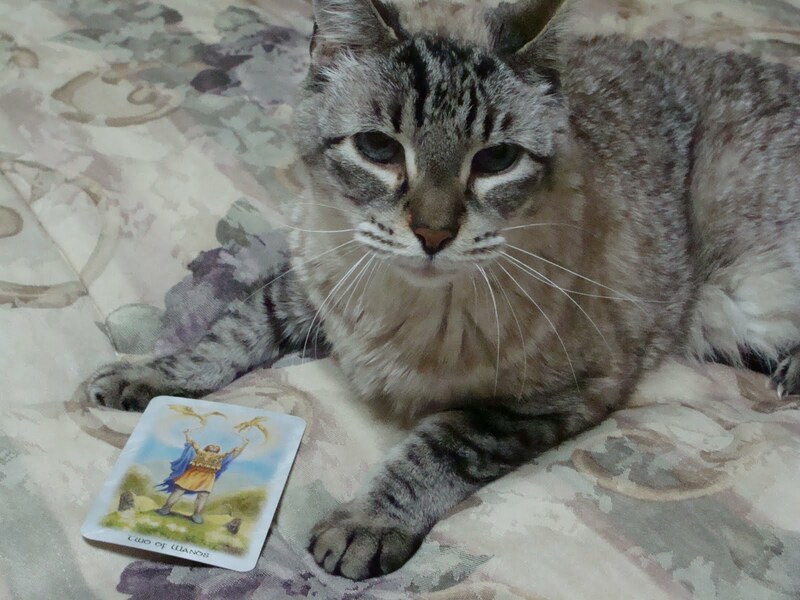 I’m grateful for my cat, Dickens who loves Lisa Hunt’s Celtic Dragon Tarot as much as I do! It’s not hard to come up with a daily list of three things for which you’re grateful. I ask that you all join me in this and as I keep you all updated I hope you’ll share your comments about your own experiences below in the comments section.